Whenever you hear the terms ‘gaming laptop‘, you are tempted to imagine a big bulky machine that’s not the most attractive nor the most portable thing out there. Let the Asus N56VZ crush that myth because its looks, its reduced weight and, most importantly, its hardware specs make it a great option for gaming on the move. Weighting only 2.7 kilograms, the laptop packs in enough horsepower to handle everything well, thanks to the Intel Core i7 processor, 8GB of RAM, 1TB hard drive and its discrete 2GB NVIDIA GT650M graphics card. 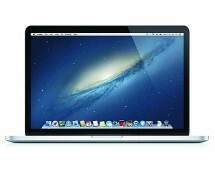 Grab it now from currys.co.uk for only £799.99. We had a surprise with the N56VZ-S4207V because, when we heard we’ll be dealing with a gaming laptop from Asus, we expected a mean-looking machine from the Republic of Gamers series; instead we got a laptop that doesn’t look more aggressive than the Easter Bunny. Don’t be fooled by the looks, though, because there’s a little beast inside this laptop, waiting to get wild. 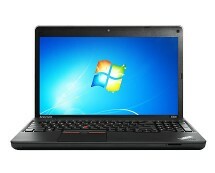 The N56VZ-S4207V comes with a minimalist black and grey design that gives it a serious aspect, without betraying what the laptop is really capable of and, considering its hardware specs, it really is capable of much. We’re talking about a third generation Intel Core i7-3610QM processor teamed up with 8GB of RAM – a powerful combo that makes the laptop zip through tasks with ease, no matter how demanding they are. 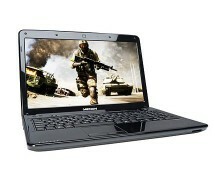 Multimedia and games are handled by the NVIDIA GT650M graphics card, which does a good job even when faced with newly-released games. However, the card is only a middle-class graphics card so don’t expect to play the latest titles with settings ‘maxed out’ because that’s the specialty of the Asus ROG Series. While in the gaming chapter there’s still some room for improvement, on the multimedia side the Asus N56VZ-S4207V is fully packed with all the goodies. Let’s start with the display of the laptop, a 15.6-inch LED display that delivers a Full HD resolution, making movies and games look impeccable. Next we have the spacious 1TB hard drive which provides plenty of space for games, music, movies and, if that’s not enough, you can easily hook up one or more external hard drives without sacrificing speeds thanks to the 4 USB 3.0 ports. We liked that fact that all the USB ports are USB 3.0, indicating that Asus is trying to leave the past behind and incorporates only the latest technologies. Another goodie is the presence of a Blu-ray combo drive, giving movie enthusiasts a chance to play their Blu-ray discs on the go or with the laptop hooked up to a big-screen TV. 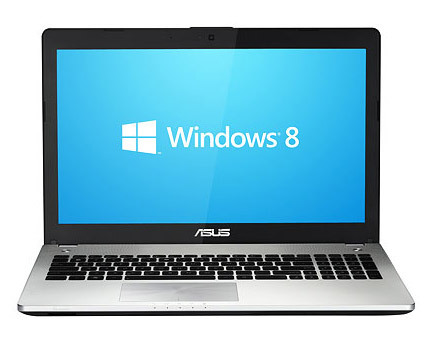 The ‘only the latest technologies’ approach we mentioned earlier is also present at a software level in the Asus N56VZ-S4207V, the laptop coming with the newly released Microsoft Windows 8 operating system. 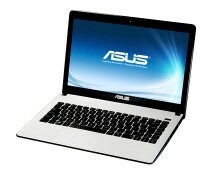 Our final thoughts are that, even though the Asus N56VZ-S4207V is not a cheap laptop, it is well worth its money.